Was out riding around earlier today and came across a Lamborghini. I pulled up behind him to play a little "Cat and Mouse." 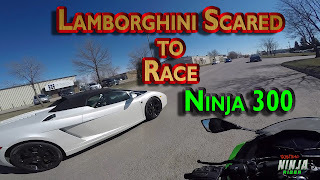 He had no idea I was a little Ninja 300. If we raced, he would have destroyed me. All he saw was a bright green sportbike. As a result, he chickened out at the last minute. Here's the custom thumbnail I made and I'll attached the link to the video. 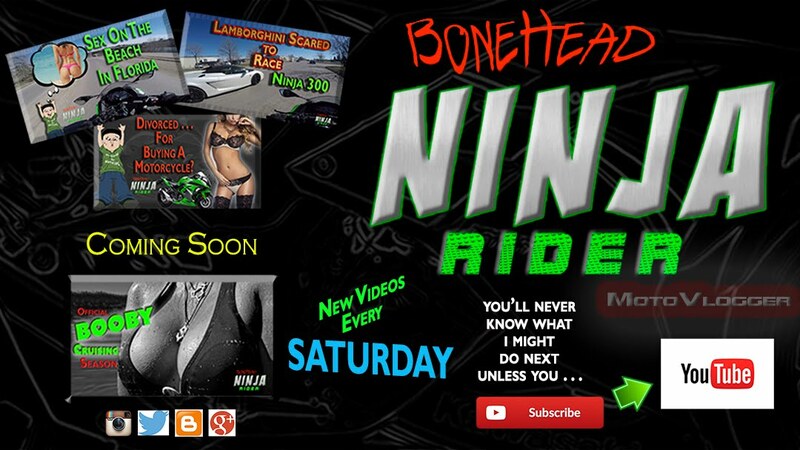 Bonehead Ninja Rider. Travel theme. Powered by Blogger.